LEN - www.lankaenews.com | MR swearing in as P.M. is unconstitutional ! 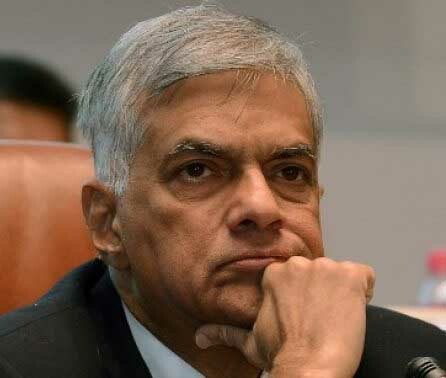 President has violated constitution – Ranil continues as P.M.
(Lanka e News -26.Oct.2018, 11.30PM) The appointment of Mahinda Rajapakse as the prime minister is unconstitutional , and Ranil Wickremesinghe is still the P.M. and he will not be resigning , a spokesman for P.M.’s office revealed to Lanka e news. Under the 19 th constitution , a P.M. can be appointed only if the vacancy arises. The vacancy can only arise if the present P.M. resigns , or following a court verdict or an election petition against him divesting him of his portfolio. Hence appointment of Mahinda as P.M. according to whims and fancies in the absence of such circumstances is unconstitutional . It is to be noted Ranil Wickremesinghe was sworn in as P.M. of the minority when Sirisena was appointed as president on 2015-01-08 prior to the introduction of the 19 th amendment . Therefore Ranil Wickremesinghe will continue as P.M.. Just because the UPFA left , the majority of the UNP in parliament is unaffected.